" Model train and Toy train exhibition 2016 " will be held at TOY MUSIUM in Mibu, Tochigi. 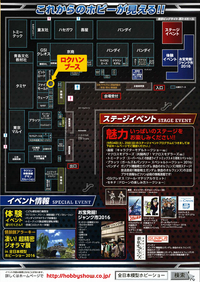 Rokuhan will take part in this exhibition with schedule and detail like this. Here is the link to this Toy Musium. We have also posted on Facebook. Your comments are welcome! Popular car series, "Kiha 52" is coming back, for re-production of T009-1 and release T009-5 & T009-6(without motor version) as new products! *T009-5 has new car number printed "ｷﾊ 52-123"
Result of 39th Japan Railroad Model show! 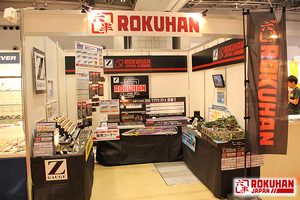 Thanks for comming to Rokuhan booth at "Japan Railload Model show" on Octorber.22 and 23 and now tell you what we Rokuhan did with pictures! Displayed "coming soon" Rokuhan cars, "Kiha 52" series, fully sophisticated Red paint works finished "E6 type shinkansen Komachi" and 4 different types of C57 Steam locomotive! Also displayed populer Rokuhan line-up! Here is another "E6 type shinkansen Komachi", was good running performance even it was full- 7 car connection! Rokuhan structure series. "Station set" series are under preparation for ready to sales! And new face you Rokuhan funs already know what it is, "Z-Shorty" was again! We Rokuhan need all your support for "Z-Shorty" to strive for making "Z-Shorty movement"! Rokuhan DCC system, "e-Train controller" is already heading to final preparation! Let's get next level of railroad model world with controlling e-Train controller! That's all for report! Again,Thanks for coming at Rokuhan booth! And hopefully, you all will continue to support Rokuhan products! 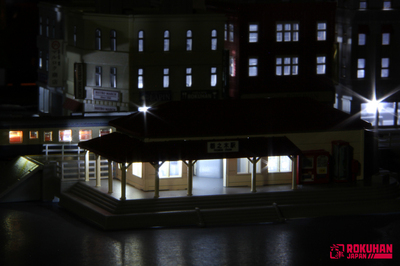 Please follow on Facebook:Result of 39th Japan Railroad Model show! Delivery of JNR WAMU 70000 freight car, JNR TORA 45000 freight car, and more will start in November! Thanks for the your continued interest in Rokuhan products! in Novermber in Japan, also will start delivery for overseas soon after. And one more news, we Rokuhan decide to re-produce "500Type EVA Shinkansen 5 cars extension set" and "KIHA 52 - 100 standard color"! Let's go to retail shop nearby you for reservation! Please follow on Facebook:Delivery of JNR WAMU 70000 freight car, JNR TORA 45000 freight car, and more will start in November! 39th Japan Railroad Model Show! 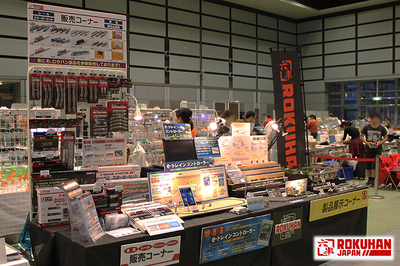 We would like to announce that we Rokuhan will attend "39th Japan Railroad Model Show" ! *Offers Limited products with special price at the show! Our Rokuhan booth will provide opportunity to see "C57 steam locomotive - different color type", brand-new molded car sample, structure samples and more! Hopefully, you will enjoy our Rokuhan booth! 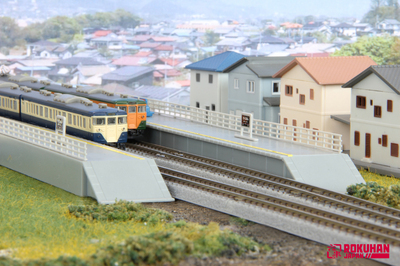 Please follow on Facebook:39th Japan Railroad Model Show! Report of "56th ALL JAPAN MODEL & HOBBY SHOW 2016"
We Rokuhan attended "ALL JAPAN MODEL & HOBBY SHOW 2016" at TOKYO BIG SIGHT on Sep.24 and 25. Displayed "500 Type Shinkansen - EVA version(on sales! buy now! )", "E6 Type Shinkansen - Komachi(prototype)", and "C57 Steam locomotive(prototype)". And this is the first time to show, "Z- Shorty"(not for sales, displayed as sample), it got big impact from train model freaks, women, and kids! This pretty and funny body design is impressed by many people has short Z scale motor unit inside and its unit provides amazing running performance! "Z- Shorty" can run on the smallest Rokuhan curved rail, R45! This means it can run on any small space layout, diorama bench-works! Here is Rokuhan booth pictures! Rokuhan structure line-up, includes coming soon structure, "Convenience store"
Thank you all for coming Rokuhan booth and hope you all will continue to support Rokuhan products! Please follow on Facebook:Report of "56th ALL JAPAN MODEL & HOBBY SHOW 2016"
Delivery of "Kiha 52" and "Small house set series" will start in Octorber! in October in Japan, also will start delivery for overseas. *T009-5 has new car number printed"キハ 52-123"
*Includes signal fire, antenna for train radio, and air horns as consumer apply parts. Please follow on Facebook:Delivery of "Kiha 52" and "Small house set series" will start in Octorber! 56th ALL JAPAN MODEL & HOBBY SHOW 2016! 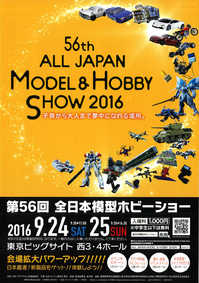 We Rokuhan will attend "56th ALL JAPAN MODEL & HOBBY SHOW 2016". *Also disclose 500 Type EVA Shinkansen! *Limited products sales, only available at here! *And we will sale limited products with special price as shown below! We hope you all will enjoy our Rokuhan booth and are really looking forward to seeing you! Follow us on Facebook:56th ALL JAPAN MODEL & HOBBY SHOW 2016!